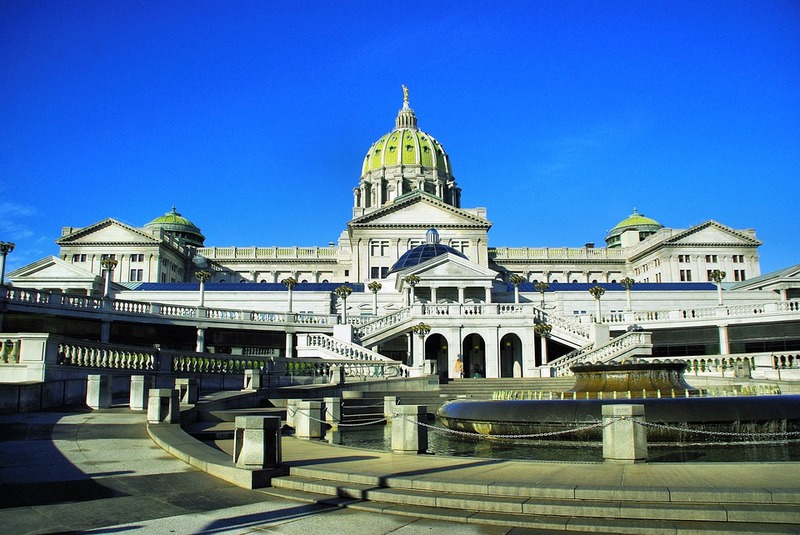 Do you live in Harrisburg or going to be visiting the area? Got kids and looking for some FREE things to do? If so, we compiled a list of some FREE things you can do with the kids! Some of the activities on our list are seasonal (will be noted) and other's are available year-round. 1. Wood Craft Classes - These classes are available on the first Saturday of every month at The Home Depot. They're FREE for the kids and you can register for them on a month-to-month basis online or call your local The Home Depot store for information. 2. Bass Pro Shop - You'll find the Bass Pro Shop located at the Harrisburg Mall. Throughout the year they host a variety of family-friendly activities and events, many of them are FREE! Our grandchildren love visiting the Bass Pro Shop and just checking out their wildlife displays and fish tanks. 3. Neighborhood Playgrounds - The city of Harrisburg and the surrounding area has some beautiful neighborhood playgrounds that are open to the public. Pack a picnic or brown-bag lunch and take the kids to one of the neighborhood parks for an afternoon of fun! They can play on the jungle-gym, swing, go down the sliding boards, play in the sand box and other fun activities. Bring along your own balls and invite other children to play a game with your kids! 4. General Craft Classes - During the summer months (June, July and August), A.C. Moore offers general craft classes for kids. At our local store they were held during the summer months on a Wednesday. The majority of the classes were free, while other's required a small fee. They host additional children's craft classes throughout the year, typically before major holidays. 5. Wildwood Lake Park - is located in Harrisburg and is open year-round, weather permitting. We enjoy visiting during the late Spring, Summer and early Fall seasons. You can pack a picnic-style lunch, walk the marked trails around the lake, check out the area's natural wildlife, etc. Throughout the year they host theme'd events which are fun to attend. 6. Wildwood Park Olewine Nature Center - is located on the grounds of Wildwood Lake Park and admission is FREE. You can park nearby and then walk into the nature center where you'll find habitat and wildlife displays, information on the area's eco-system, hands-on activities for the kids, a bird-watching outpost and more! 7. Pennsylvania Farm Show - is an annual event that is held every year during the month of January at the Pennsylvania Farm Show Complex & Expo Center. It's a week long farm show event that offers free admission. During farm show week you'll see all kinds of different farming exhibits, farm animals (cows, horses, pigs, sheep, goats, chickens, etc. ), judged events, tractor pulls, the famous sheep-to-shawl contest, square dancing, etc. and you can enjoy food from the local area. Admission is free. 8. Strites' Orchard and Farm Market - You'll find this farmer's market located in Chamber's Hill and they're your typical farmer's market. During the Spring, Summer and Fall season they offer FREE children's events and activities. We've taken our grandchildren out to Strite's during the theme'd festivals where they worked on craft projects, got free face painting and went on hayrides for FREE! If you're looking to spend a little bit of money at one of their theme'd festivals, I would suggest their Hershey's ice cream which is delicious! 9. Italian Lake - is located in downtown Harrisburg and is a gorgeous park to visit. There is a paved walking trail that goes around the lake, a stage where they hold concerts & events and you'll see ducks & swans out in the water. Throughout the year they host free and low-cost events. 10. Christmas Lights and Holiday Events - The area has great Christmas light displays during the holiday season. We like to pack some brown-bag snacks and throw blankets, and jump into the car and drive around the area to see all of the holiday lights! Many of the different communities in the area host Christmas & holiday events that are free to the public. Your kids can work on holiday crafts, visit with Santa, sing Christmas carols and do other fun holiday activities. 11. Fort Hunter Mansion and Park - is located at the northern end of the city and sits right along the beautiful Susquehanna River. The park is FREE to visit and throughout the year they host various theme'd events. If you want to tour the inside of the mansion, you'll have to pay an admission fee. However, the playground, picnic pavilions and other activities on the property are free. As you walk around you'll encounter informational plaques & historical markers that give you some of the history on the area and the people who lived here. A great place to take the family for an afternoon picnic and for some fun! 12. ZooAmerica North American Wildlife Park - is located in Hershey...about a 15 minute drive from Harrisburg. Every year during the month of January they host a FREE community weekend event where every visitor gets free admission into the zoo. You can visit their website to find out which weekend in January that the event will be held. You'll want to dress in warm clothes since the majority of the zoo's exhibits are outside. 13. Fireworks - During Memorial Day, July 4th, Labor Day and on New Year's Eve you can enjoy a free fireworks show in downtown Harrisburg that can be seen from both sides of the Susquehanna River. 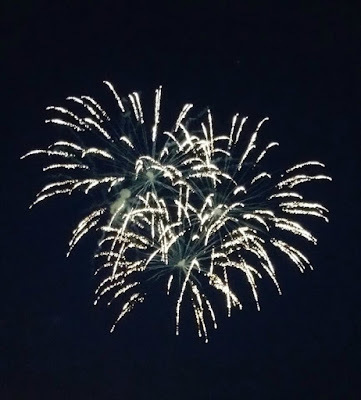 If you don't want to visit the downtown area, you'll find that other municipalities surrounding the city also host their own fireworks celebrations. For example - We enjoy going out to Koon's Park in Linglestown and catching the show. 14. 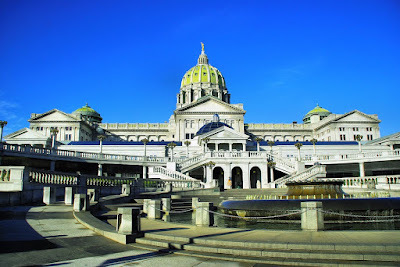 Harrisburg Capitol Complex - Harrisburg is the capitol of Pennsylvania and has a gorgeous complex that is open year-round. You can register for a free tour by visiting their website online. We took the tour and had a great time! 15. The State Museum Of Pennsylvania - Located at 300 North Street in the downtown business district of Harrisburg, the State Museum is open year-round and offers free admission to visitors. You can find free and paid parking nearby. When visiting the museum, we recommend allowing at least 2 hours of time, so that you can experience everything that the museum has to offer. 16. Harrisburg City Festivals and Parades - Every year during Memorial Day weekend, July 4th and Labor Day weekend, the city of Harrisburg hosts a festival down along the waterfront (along the Susquehanna River). Admission is free, along with liver entertainment and activities for the kids. At the end of the holiday weekend, you'll be treated to a fireworks display. Love a good parade? The city hosts various parades throughout the year. 17. 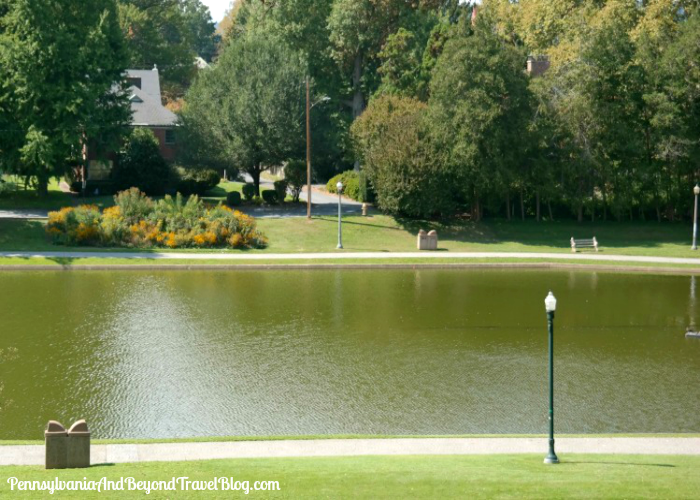 Reservoir Park - Located within walking distance of the Civil War Museum in Harrisburg, you'll find Reservoir Park which offers free music concerts and events throughout the summer season. There are paved walking paths, water fountains, monuments and if you're looking to get beautiful skyline views of the city...head to Reservoir Park. You can find a list of these free events by visiting the city's website online. 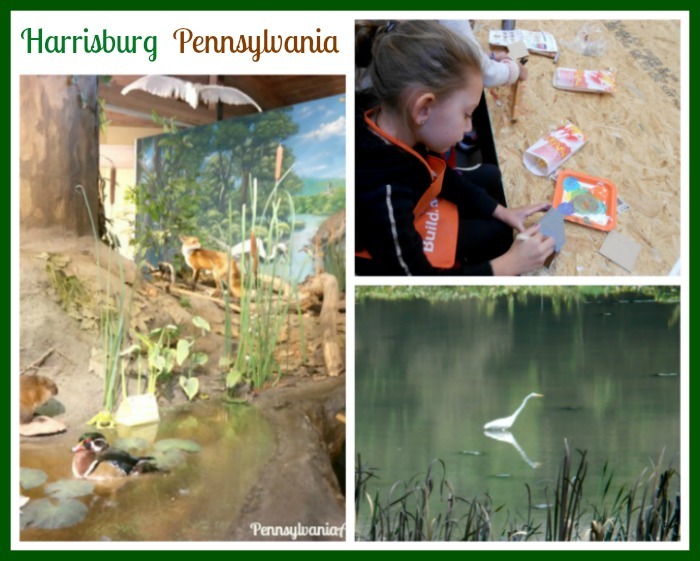 As you can see, Harrisburg is a fun, family-friendly place to visit! There is something always going on and a lot of free activities are available for you and your family to enjoy.